Edible oil is daily necessary for human all around the world and different types of oilseeds can be made into edible oils, such as, palm nut, sesame seeds, sunflower seeds, soybean, canola, peanut etc. With the increasing demand for edible oil causing the increasing price, recently plenty of people begin to make own edible oil to save cost. Small edible oil production line is designed for making oil at home or small workshop. It is generally composed of four stages, respectively are oilseeds pretreatment, pressing, extraction and refining. The first stage provides oilseeds cleaning, hulling, crushing, flaking, softening, cooking. On the second stage, the oil seeds after pretreatment are going through pressing and filtering. When coming to the third stage, the pressed oilseeds are going to extracting which means separating oil from seeds. The last processing is the refining including degumming, decolorization, deodorization, dewaxing and fractionation. Then the edible oil is produced successfully. With light weight, small size and occupation area, the small cooking oil production line is easy to operate and maintain. Due to the small scale, while saving energy and cost, it can also meet daily requirement for edible oil. Besides, this small cooking oil production line is suitable for making almost all the oil seeds like sunflower seeds, palm kernel, soybeans, cotton seeds, sesame seeds, peanuts, coconut etc. thus becoming the ideal equipment for home use, small workshop and small edible production factory. 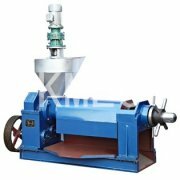 Shelling machine is used for the raw material which is need to be decladding, just like peanut or melon seed. For instance, peanut shelling machine is designed for decadding the peanut. It is mainly consist of hopper, screen, rotor, triangle wheel, vibrating sieve, frame etc. Its capacity ranges in 400-3000kg per hour with the shelling ratio in over 95%, crushing ratio in below 5% and cleaning degree ranging in 95.5% to 97.5%. It is hard to avoid the impurities existing in the oil seeds. Without cleaning them, the oil quality will be influenced greatly. So, cleaning sieve is used fro removing the impurities like stones, dust and mud, even the metal scrapes. Using this cleaning sieve, both of oil quality and yield will be improved, while the noise will be reduced with continuous working. This roasting machine is made up of hopper, cooking machine motor, block fire cover and cylinder etc. used for roasting oil corps, when the heat of oil corps is suitable, it is easier to extract oil. Thus the roasting machine is becoming the essential part of the small cooking oil production line gradually. Oil expeller is the most important machine in the edible oil processing, which has two types, one is screw oil expeller, the other one is integrated oil press. The only difference between them is the screw oil expeller should be used with the oil filter press while the integrate oil expeller is composed of two vacuum filter drum to realize pressing and filter at the same time. Just as said above, the oil expeller should be connected to filter press. Here comes the filter press. It is used for getting the crude oil which is prepared for refining. Steam generator, deodoraizing pot, decolorizing pot, bleaching tank, water tank etc. These machines are used for oil refining. As we all know, not all kinds of oils can be used directly without refining. By refining the crude oil with these equipments, the finished oil looks and smells better with less impurities. Due to the different variety, climate, origin, cultivation techniques and storing conditions of plant oil materials, their chemical components have great differences as well, including oil, protein, carbohydrate and other trace components like phospholipids, pigment, wax, organic acids etc. Therefore, the processing is not the same, you should be familiar to your oil material before making edible oil. More importantly, how to choose a reliable edible oil production equipment manufacturer. Firstly you should pay attention of their qualified certifications, the manufacturer you choose has CE certification at least. 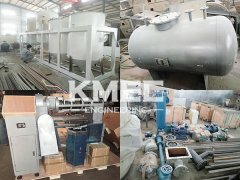 Then, almost manufacturer will customized the small cooking oil production line according to your oil material and requirement. At last, for the equipments, you should operate them strictly according to the operation instruction. 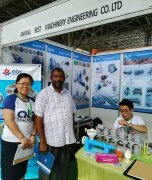 Want to set up your own small edible oil production line? Please contact us to get the project plan customized for you.